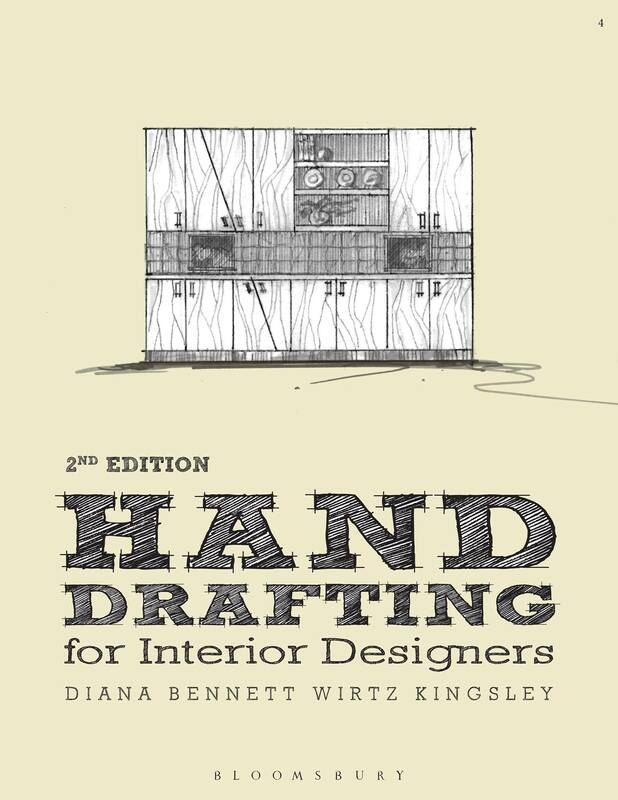 New Edition of my “Hand Drafting for Interior Design” is due out tomorrow !! The second edition on my book by Bloomsbury Publishers is about to go to print. It is due out in March and will have lots of drawing ideas. Changed this a little to make some areas a little darker and a couple a little lighter. Hope it comes across a little stronger. 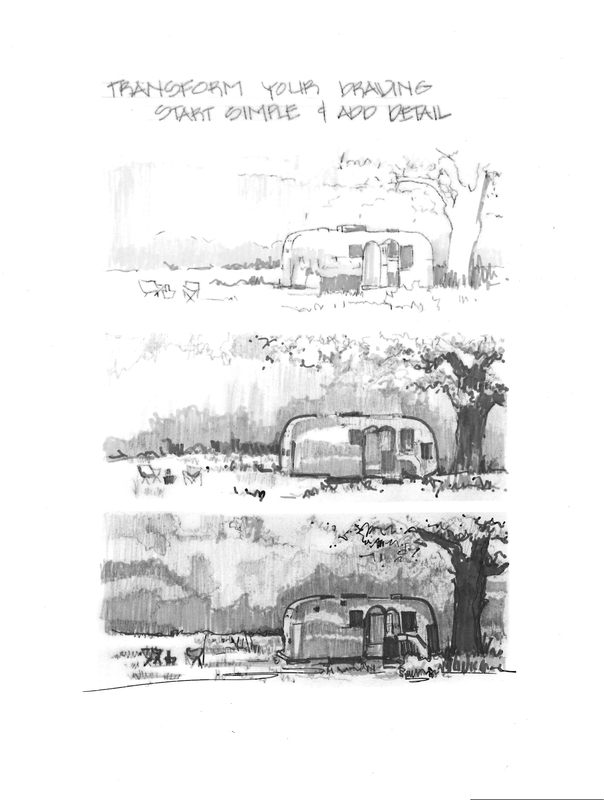 So why not use them as an example of how to add detail and then add gray scale. Not so sure the gray scale is working as well as it could. May have to do over, but my printer decided not to work today. So maybe tomorrow. The same style of drawing used for hand drafting can be used in journal sketching. 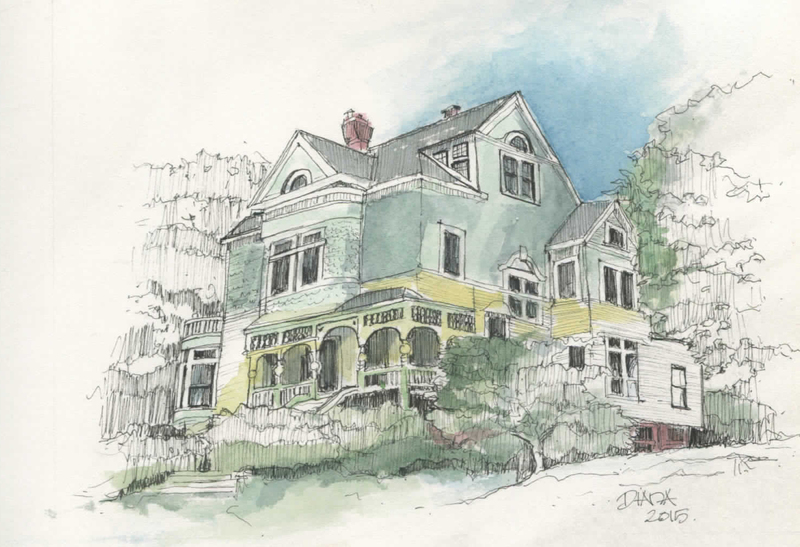 When I travel I like to sit and draw, and often use the same style I used for drafting in my drawings. Here are four examples. Here is another drawing showing how to use proper line weight in a drawing. The darker lines show walls closer to you, and the lines should be lighter as they move away from the front. One of my good friends asked me to do a section on line weight in hand drafting for the second edition of my book. When I taught hand drafting to my beginning students, I had a little handout made up in business card size with what I consider to be the best pencil hardness for each part of a drawing. Every little detail in a drawing makes a difference. Getting the right curve so that draperies softly drape in your drawing and look realistic is one detail that can help your drawings.